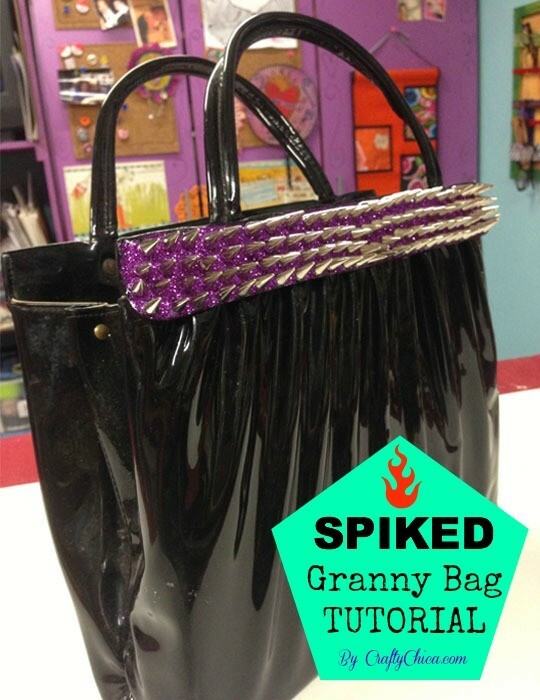 All you need are four supplies: A granny handbag, about 200 7x14mm spikes (I bought mine on eBay for $6), a super strong clear glue for non-porous surfaces. I used Max Tacky Adhesive. 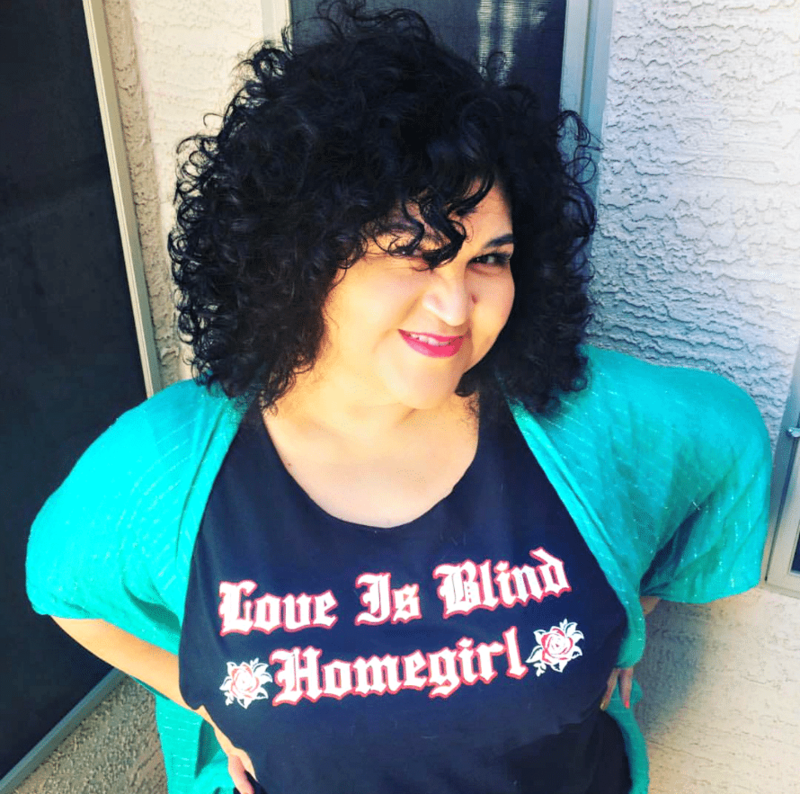 Optional: Glitter. 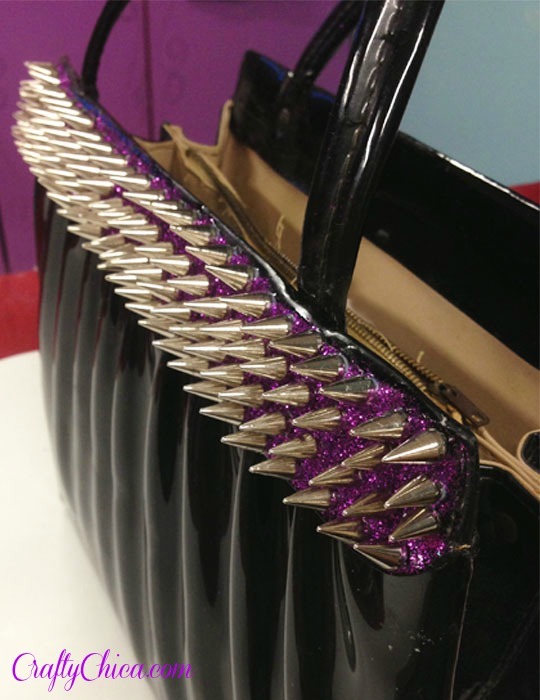 You can leave just the spikes, but I wanted to give my project my own “chica twist” so I added purple sparkle! 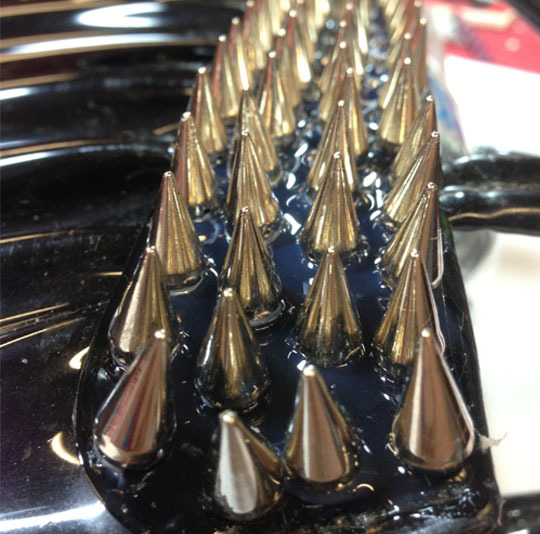 Before you glue the spikes, you want to lay out your design to make sure you have enough spikes. To complete this look, I used exactly 200 spikes. 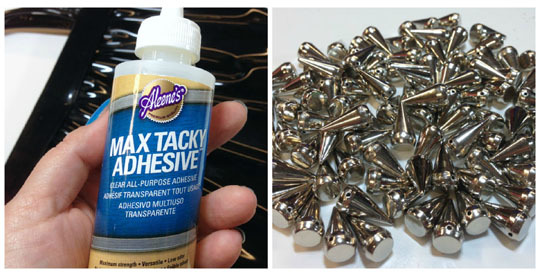 Once you have your idea set, add a layer of the adhesive on evenly, work on one area at a time so the glue doesn’t dry up. NOTE: I added a layer of glue because I knew I was going to add glitter. If you want only the spikes, you can use a chopstick to add a drop of glue at the bottom of each spike, then press in place. Set your spikes in place. 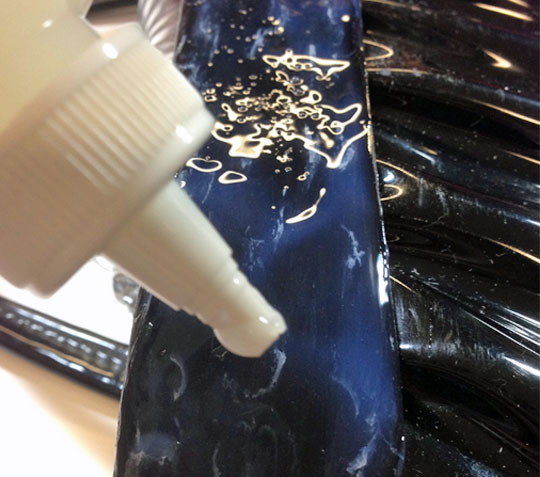 Work over a large piece of paper, then pour the glitter on top of the wet glue. Don’t move the purse, let it set just like this for about an hour. 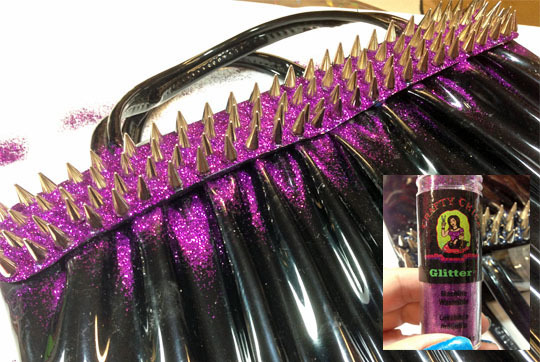 Once it’s dry, turn the purse over and tap away the excess glitter. Use a dry brush to dust off stubborn areas. Previous ArticleMake a Tri-Collar Fabric Neckace! so flipping cute! 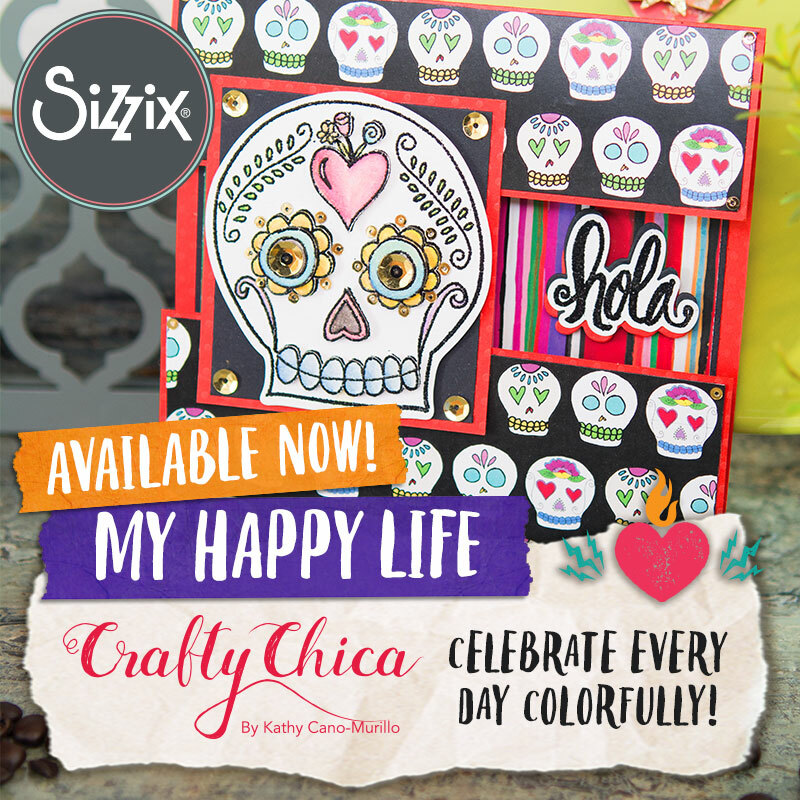 i wanna make one!!! That is fantastic! 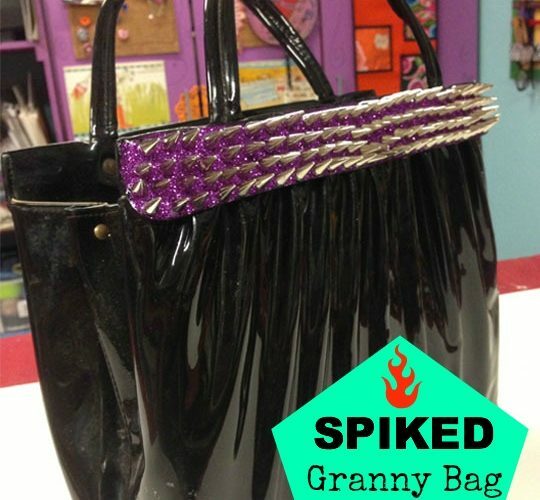 I love the spikes and glitter! Wow this is really cool. Love it!